Today's project was for a friend of mine that was feeling down in the dumps. 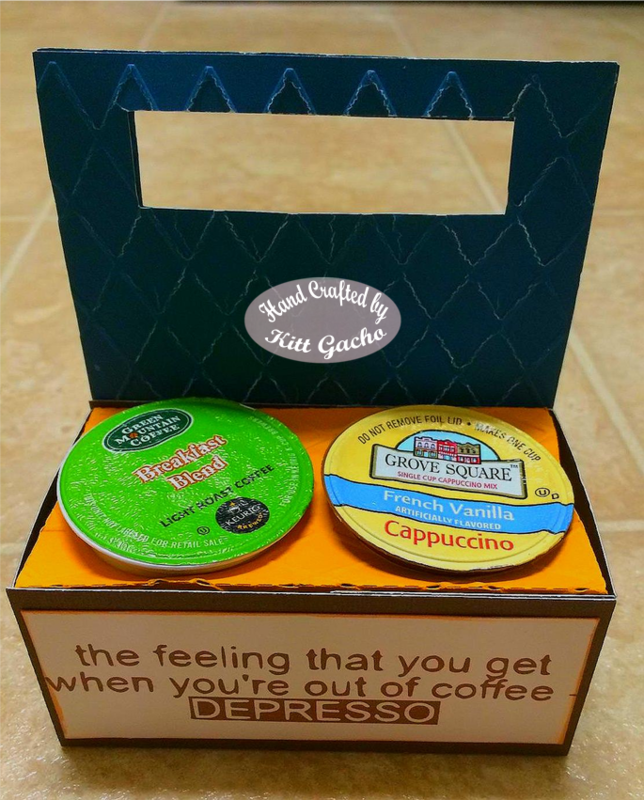 This K cup coffee pack with sentiment was perfect. It was from the Cutting Café. It is a 4 Kcup holder and I wanted to get it to him last minute and I forgot to take a picture. I had him send me a picture of both the front and back. Sorry for the display. It did make him feel better. 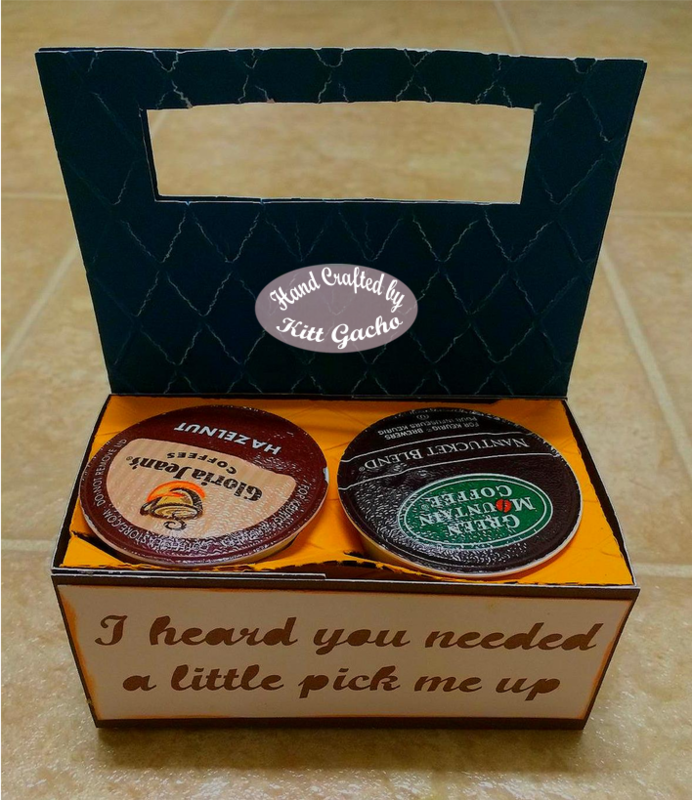 I told him from now on whenever he makes a Kcup of coffee he will always think of me. This is also for the challenge over at Decorate to Celebrate. Be sure to stop by and see what the talent DT has for your inspiration. Thanks for stopping by today and leaving your comments. I love reading them. Have a happy crafty day. Cute project! Thanks for sharing. Very pretty packaging! And sentiment! Love it!